snow seems so alien to me from here. I am doing my homework as fast as I can so please dont beat me up. That's so sweet. 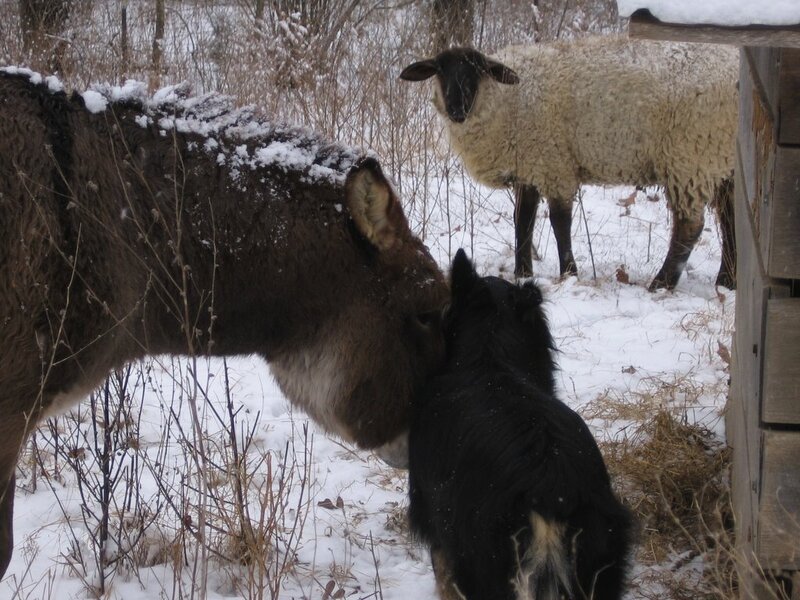 Do you suppose Dan thinks Buddy is a donkey, too, or that he, himself, is a dog? 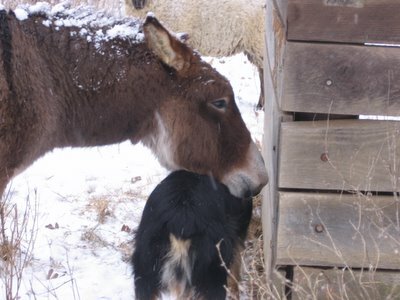 I would have had a picture of my newest donkey friend but I had to cancel my spinning class because of an occurrence this past week. Hopefully I will get a picture this week, if not I will ont he 17th. Dan is the cuddliest donkey at the farm, for sure. What a lovebug. Oh, yeah. Coolest donkey, no question. Oh, so cute! I love all your animal pics. Nonetheless, we are attractive in our own sedate way, and feel that some weekend poultry blogging would be in order.